TRANIDOM Services welcomes socialized dogs of all sizes. Dogs must be accustomed to living in the house with their (s) owner (s). Dogs live in our house day and night; however our capacity is limited for this type of care. In TRANIDOM Services, dogs live in my home with a large enclosed garden. The dogs share my life with my family. No loneliness, no boredom. His/her day is filled with games, walks and petting at will. 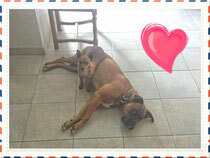 Throughout the day your dog enjoys our presence and our attention. 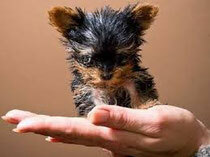 You take a plane, you go on tour or want to visit museums or similar, you cannot take your pet even if it is tiny. We have the solution. You can leave your pet with us with confidence. It will be pampered throughout your dogs stay. Your dog’s stay must be paid in full on the day of admission. The admission day will be charged regardless of the time of arrival. The discharge date will not be charged if the departure is before 10am. TRANIDOM offers a range of services for the wellbeing of your pet. 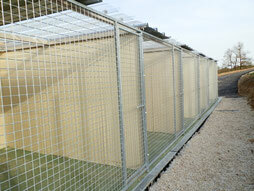 But at present the kennels are yet to be completed. We decided to open the boarding kennels because there are some dogs are not accustomed to living in a home environment.